In this age of intemperance of virtual content, we sure see a dearth of real heroes, and hence reel heroes assume responsibility and serve as fitting adjectives to many a virtuous nouns of our lives. Sitting behind computer screens, managing our social profiles on the internet, and keying an ‘aw’ or ‘aww’ each time a notification arrives, we have conveniently ignored the real issues that need attention. And celebrities form the pulp of the problem. Our social media activism, especially when it comes to celebrities, sure needs a makeover. Not that we would like to believe it but the cult following that Bollywood enjoys becomes a testimony to this fact. From romance to revenge, we imitate our beloved stars without paying much heed to the fact that they only play those characters we actually admire. Rage informs fandom here, and we tend to follow the suite no matter how bittersweet the reality can be. A recent blog entry by a domestic-help startup brings to the fore yet another example of overweening attitudes of the Gods of cinema. 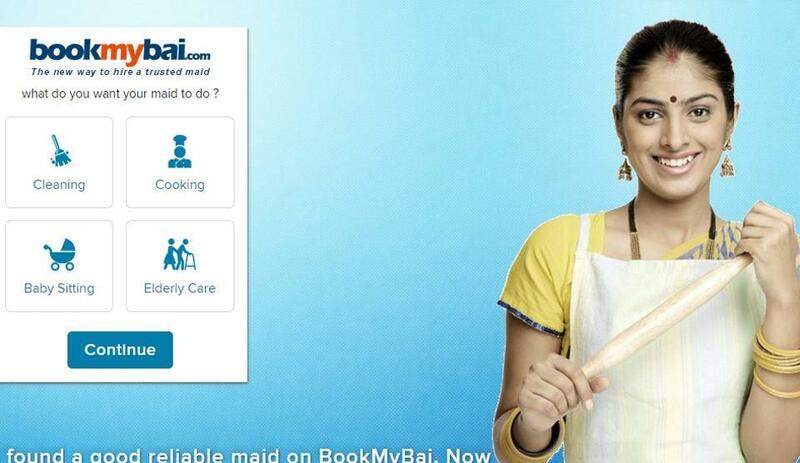 “BookMyBai has worked very closely with a lot of Bollywood celebrities and provided them with a good domestic help in Mumbai and other cities and our experience has not been less than horrendous. This piece that I am writing is to bring awareness of how some of these Bollywood celebrities exploit services. I know that I am generalizing and weighing them all in the same scale. But I am only talking out of my personal experience of providing a domestic help to over 20 Bollywood celebrities in Mumbai. This is also to put in a word of caution to other buddy-startups who might fall into the trap and end up losing that precious revenue,” he adds. [quote] This experience actually convinced my team that we would not deal with celebrities anymore. Physical abuse of the maid was almost a daily affair. As soon as we got to know, we asked the maid to leave as soon as possible. When she came to our office, we could see physical marks on her body of physical abuse. We supported her and wanted to file a complaint in the local police station. But she asked us to let it go. She didn’t have the time to run to the police station every time the police calls her.